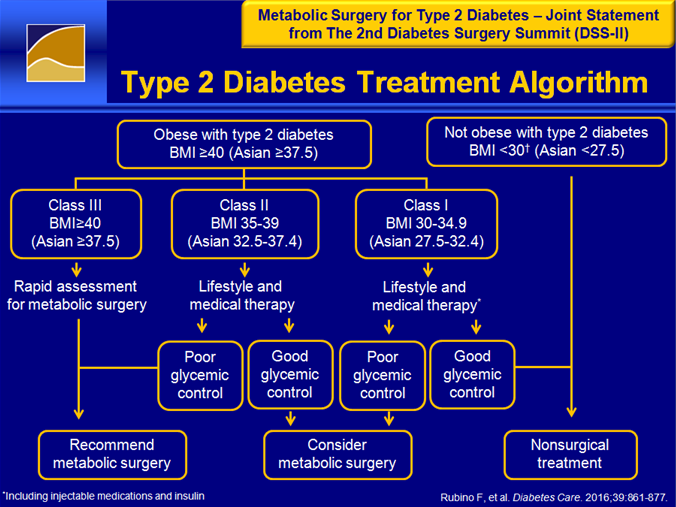 Metabolic Surgery in the Treatment Algorithm for Type 2 Diabetes. 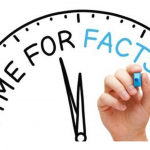 A Joint Statement by International Diabetes Organizations…. Diabetes is a disease in which your blood glucose, or blood sugar levels are too high. Glucose comes from the foods you eat. Most of the food that we consume is broken down into glucose. Insulin is a hormone that helps the glucose get into your cells to give them energy. Metabolic Surgery in type 2 diabetic patients who are not morbidly obese? Obesity and type 2 diabetes are serious chronic diseases associated with complex metabolic dysfunctions that increase the risk for morbidity and mortality. 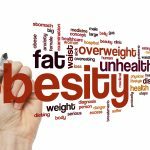 The dramatic rise in the prevalence of obesity and diabetes has become a major global public health issue and demands urgent attention from governments, health care systems and the medical community. 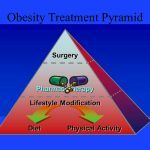 Bariatric surgery is an appropriate treatment for people with type 2 diabetes and obesity not achieving recommended treatment targets with medical therapies, especially when there are other major co-morbidities. Surgery should be an accepted option in people who have type 2 diabetes and a BMI of 35 or more. Surgery should be considered as an alternative treatment option in patients with a BMI between 30 and 35 when diabetes cannot be adequately controlled by optimal medical regimen, especially in the presence of other major cardiovascular disease risk factors. In Asian, and some other ethnicities of increased risk, BMI action points may be reduced by 2.5 kg/m2. The morbidity and mortality associated with bariatric surgery is generally low, and similar to that of well-accepted procedures such as elective gall bladder or gall stone surgery. 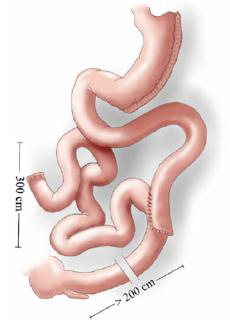 Bariatric surgery for type 2 diabetes must be performed within accepted international and national guidelines. This requires appropriate assessment for the procedure and comprehensive and ongoing multidisciplinary care, patient education, follow-up and clinical audit, as well as safe and effective surgical procedures. 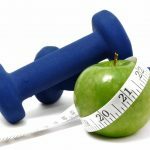 who are eligible to undergo metabolic surgery? 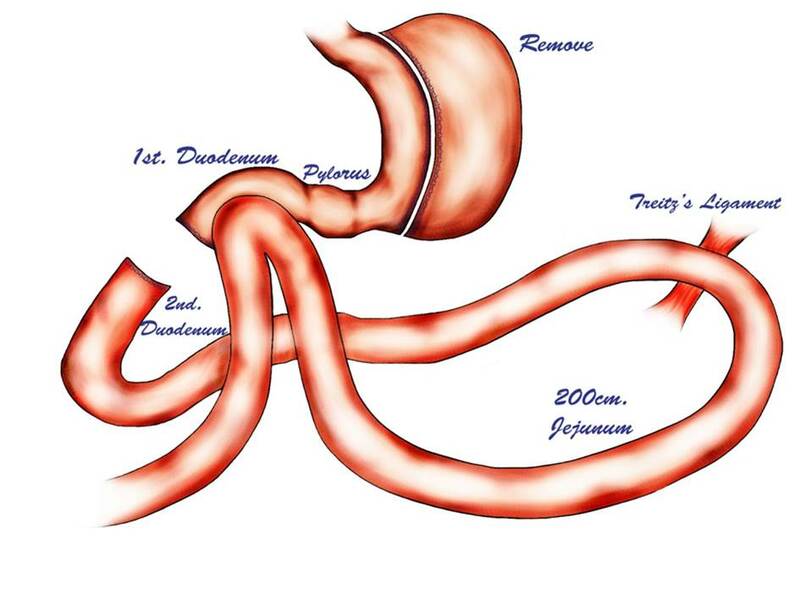 Loop duodenojejunal bypass with sleeve Gastrectomy (LDJB-SG) was started to achieve Type 2 diabetes remission and to avoid the drawbacks of RYGB. It is safe, feasible, and shows good efficacy in terms of glycemic control or long term remission of type 2 diabetes, due to several hormonal changes such as reduced ghrelin,increased GLPI and peptide YY. 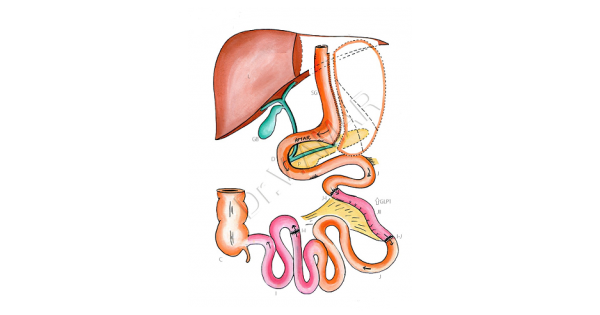 Adding intestinal diversion to sleeve increases its efficacy and reduces problem related with gastric bypass.Bilio-pancreatic diversion with duodenal switch is the most effective metabolic surgery since hormonal changes are maximum. How metabolic surgery causes diabetes remission? LDJB-SG causes neuro-hormonal and absorption changes, which result in long-term control of diabetes. Sleeve gastrectomy causes caloric restriction and suppresses the anti-insulin effect of ghrelin hormone. Removal of body of stomach alters gastric empting, causing early satiety and also changes energy balance. 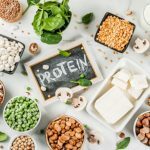 Reduced appetite, improved satiety, increased energy expenditure and resetting the “set point for food storage” to a lower level result in long-term control of diabetes. Exclusion of the proximal intestine suppresses the anti-incretin hormones, which are stimulated by presence of food in the duodenum. Swifter delivery of food to the distal intestine stimulates the secretion of incretins like GLP-1 and peptide YY. GLP-1 increases the insulin secretion by enhancing the function of insulin producing beta cells in pancreas. For metabolic surgery patients are properly screened and surgery is recommend only for patients with uncontrolled Type 2 diabetes on Insulin therapy with C-peptide >1, HbA1c > 7 and BMI > 27.5. Though, metabolic surgery is cost effective, it has minimal complications and mortality. The future of complete remission of diabetes lies in metabolic surgery. Can the surgery cause hypoglycemia (low blood sugar)? After the operation, as in every normal human, insulin will increase after eating. The possibility for hypoglycemia occurrence will decrease continuously and be eliminated during the period after the operation. No. The performed processes are basically a displacement process performed in the small intestine. In addition to this, in situations where it is deemed necessary deemed (depending on the disease level, the hormone levels in the blood and the activity of these hormones), required surgical operations regarding the stomach volume, stomach form and the fatty tissues wrapping the organs in the abdomen are performed. Will I need to take supplements after metabolic surgery? To avoid long term micro nutrient deficiency, it is advisable to take regular supplements. 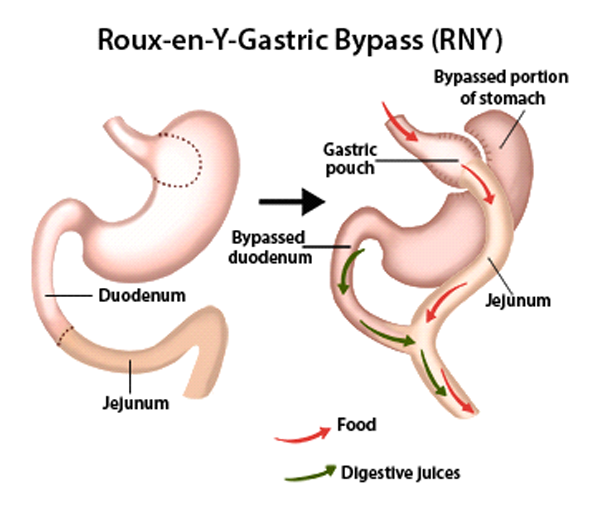 Laparoscopic roux-en-Y Gastric Bypass (Metabolic) is a reversible weight loss procedure that reduces the size of your stomach to a small 30cc pouch and making food bypass the beginning of the small intestine. This reduces your appetite and makes you feel satiated with smaller portions. LRYGB can help you lose up to 60 – 80% of your excess weight in a period of approximately 2 years.